Structural Waterproofing repairs are required when an installed system breaks down. The cause needs to be fully understood so that the effect can be remedied with the most appropriate materials and application. In this case differential movement of a variety of materials (see the photo) caused cracking and thus leakage. 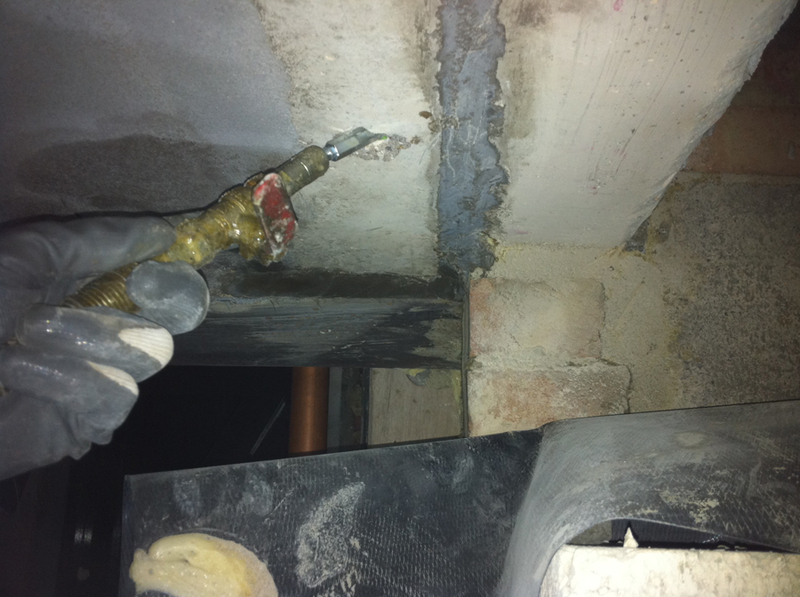 The remedy in this case required the need for pressure grouting “solvent free” polyurethane resin to seal leaks in the structure that had been built and waterproofed by others. The grouting remains flexible and able to cope with the stress and strain of differential movement. Barker Morris is at the forefront of providing specialist injection services to remedy unwanted leaks through the structure. Their specialist experience in this field provides a solution to some of the most difficult problems of access and structural movement. The problem leaks in this particular London basement were stopped and the building works handed over to the client successfully and on time. The basement is now a safe and habitable place for its occupants.